Welcome to the 2020 Recruiting Big Board! We’re pleased to bring this back for the 2020 cycle after its hibernation for the 2019 cycle. For those of you who don’t remember it from 2018, I’ve included an explanation of how it all works at the bottom of the page. For those of you who don’t remember it from 2018, here are a few tips on how it works. -Priority tiers are admittedly somewhat subjective, but here are a few factors I use to calculate them. The priority based on players’ average star rankings balanced out by how immediate the Gators’ need is at that position. That is, of course, assuming the player has displayed a genuine interest in Florida; if not, then the player still remains on the board as a legitimate backup option in case something goes wrong with someone Florida really wants, but a five star linebacker who has demonstrated real interest in the Gators will be listed as a higher priority than a five star linebacker who has not. Another factor is the player’s proximity to Gainesville, as Florida needs to reel in top talent from nearby for reasons that are probably self explanatory. -The “average star rankings” for each player are the averages of the following recruiting services’ ranking systems: Scout, 247, Rivals, and ESPN. Do note that this not the same formula as the 247 composite rankings; that algorithm “assigns stars based on an approximate average distribution of stars from the industry.” The average star ranking that I use have nothing to do with how many stars are given out in the industry; it’s literally calculated by adding the total number of stars a player receives from Scout, 247, Rivals and ESPN and dividing by four, and then rounding to the nearest whole number if necessary. -Like the priority tiers, player odds are an admittedly inexact science. 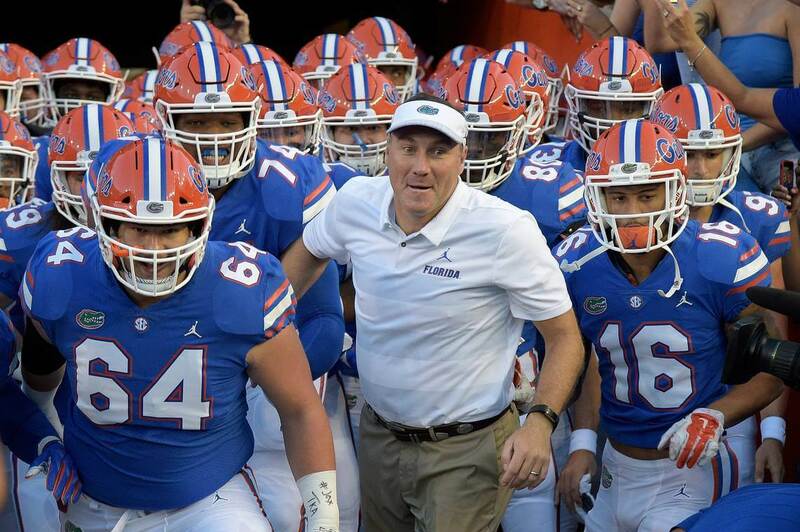 But the components to it include player visits to UF (as this shows a legitimate desire to come to Florida, rather than in-home visits, which I do not factor in at all unless one team gets the last in-home visit before National Signing Day), how much the player seems to buy into the program, how strong a relationship the player has with his primary recruiter, how good of a recruiter that primary recruiter is, and whether the player has a stronger interest in another school. And of course there are other possible factors that could flare up, like a coach leaving or a school getting hit with a postseason ban, but those are not going to weigh in that frequently. -Lastly, as is the case with pretty much everything in recruiting, everything is subject to change at the drop of a hat. We’ll try to update this every couple of weeks or so (and the last update date will be notated at the top of the Big Board), unless something seismic happens, like an outright Florida commitment, in which case the update will be done right away. But players can gain and lose interest, visits to other schools can change minds and alter the odds, etc. So, to install the most self-explanatory way to help keep track of changes in player odds: a beside a player’s odds means Florida’s chances have decreased, while an beside a player’s odds means Florida’s chances have increased since the last update.